In this collection of award-winning stories, Melbourne writer Maxine Beneba Clarke has given a voice to the disenfranchised, the lost, the downtrodden and the mistreated. It will challenge you, it will have you by the heartstrings. This is contemporary fiction at its finest. Winner of the Victorian Premier’s Unpublished Manuscript Award 2013. In Melbourne’s Western Suburbs, in a dilapidated block of flats overhanging the rattling Footscray train-lines, a young black mother is working on a collection of stories. The book is called FOREIGN SOIL. Inside its covers, a desperate asylum seeker is pacing the hallways of Sydney’s notorious Villawood detention centre, a seven-year-old Sudanese boy has found solace in a patchwork bike, an enraged black militant is on the war-path through the rebel squats of 1960s’ Brixton, a Mississippi housewife decides to make the ultimate sacrifice to save her son from small-town ignorance, a young woman leaves rural Jamaica in search of her destiny, and a Sydney schoolgirl loses her way. I am a big short story fan – and Clarke’s stories did not disappoint. Clarke is a spoken word performer as well as a writer, and it shows in her writing. Many stories read as as if the characters are speaking to you, a style which always seems incredibly fluent to me. In addition, Clarke’s empathic range is quite astonishing. She is able to write from the perspectives of a remarkable variety of characters in large number of situations, and all of them seem real. There is no clear theme, but many characters either have a desire to be go and explore the wider world or else some feeling of being an expatriate. Clarke is not afraid of exploring the issues that these feelings bring up: clashes of culture, racism, classism, the problems that poverty and other lack of privilege give rise to. Her characters are affected by war and violence; they fall in (and out of) love; they express their anger with their social situation; they have chance encounters with strangers that give them a new perspective. Each story is a window into a larger world, leaving you to imagine what the characters do next – which is precisely what I love about short stories. 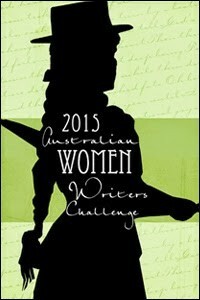 This is a review for the 2015 Australian Women Writers Challenge. You can see my full list of books here. You can find a full list of my reviews, and other posts relevant to the challenge, here. If you are the kind of person who likes to have more than one thing to read on the go at once, this is actually not a bad book to have as one of those things. Each short story gives you so much to think about, and is so separate, that it is very comfortable to put down between them and go and read something else and then come back to it. Don’t get me wrong: you will be compelled to come back, and you will be disappointed when it ends. It’s more that I found that taking a break between some stories was a good aid to the rhythm of the book.